His return to Belgium was possible after the Spanish Supreme Courted lifted the European Arrest Warrant against him, in response of the decision of the German State Court which did not declare Puigdemont guilty of high treason nor rioting. In this occasion, Puigdemont confirmed he will actively take part in the political life of the independence movement and, so far, it looks like the theatres of his political activities will be three: in Barcelona, in Madrid and in Europe. The first theatre of Puigdemont’s re-involvement in the Catalan movement takes place from his willingness not only to be behind the real power in the Catalan parliament, but also to establish his political line as the only possible way for independence. The Parlament de Catalunya is currently run by the two pro-Catalan forces Junts per Catalunya, a coalition between Puigdemont’s Partido Demócrata Europeo Catalán (PDeCAT) and Convergencia Democrática de Cataluña (CDC), and Esquerra Republicana de Catalunya (ERC). Currently the strongest force in the Catalan parliament is Ciudadanos, from the centre right with 36 seats, followed by Junts per Catalunya with 34 and ERC with 32. The current Catalan Government led by Torra has been elected with an extremely feeble majority, with 66 votes out of 135 in favour, 65 against and 4 abstained from the pro-independence radical left CUP. However, less than a month ago the former President Puigdemont founded the new Crida Nacional per la República (CNR), a “political platform” that aims at gathering all the pro-independence movements to form a stronger player against the Spanish central government. At its presentation, Junts per Catalunya, thanks to its former leader which has later been replaced on Puigdemont’s order, did avoid the party collision with the project, limiting to leaving the party’s entry pending for the future, while ERC clearly stated it would not join the project. The aim of the CNR would be to strengthen the pro-independence movements by uniting all the political forces in its womb, but so far it hasn’t. In fact, the current situation in the Catalan political arena is tough for the independentists. The Catalan parliament will be closed until October, as a result of the frictions between the two independentist parties forming the government which disagree on how to apply the suspension of the accused deputies, amongst which Puigdemont, dictated by Judge Pablo Llarena. According to Spanish newspapers in fact, Junts per Catalunya would push for a solution that can leave Puigdemont out from the suspension handed down by the Supreme Court and therefore would allow him to keep his seat in the parliament, while ERC would push for applying to the Court resolution, in order not to make distinctions between deputies. The two parties accused each other of being obsessed with Puigdemont’s figure: Junts per Catalunya by the desire of veneration for his figure, ERC by the desire of strip him of privileges. Therefore, despite the spokesman of Junts per Catalunya to the Catalan parliament guaranteed that the government is solid, doubts on the effectiveness of the majority in the Parliament arise. 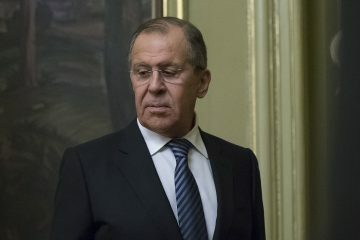 In fact, when the opposition claims that Torra acts as “Puigdemont’s secretary rather than as President of the Generalitat de Catalunya”, it does not rely on pure opposition party narrative: at the press conference that followed Puigdemont’s return to Brussels, he overshadowed the current President of the Generalitat. 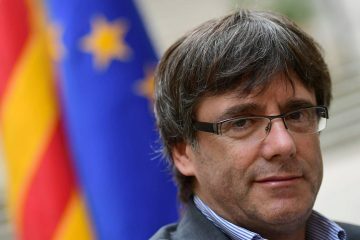 Torra himself confirmed the position still held by Puigdemont as leader of the independent movement and affirmed that the independentist are “working to reinstall him in his role as President, so he can replace me […] as soon as possible”. Puigdemont’s objectives for both holding his position in the parliament and fostering the role of the newly established CNR pass through a stronger PDeCAT. In the near future in fact, the party is likely to be strengthened with hardliners, as the election of David Bonvehí predicts. 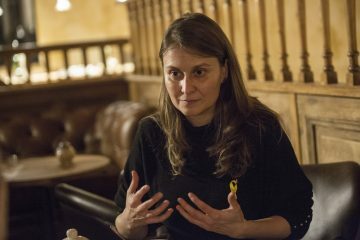 The new leader of the party, close to Puigdemont, raised less than two weeks ago after the former and more moderate leader Marta Pascal stepped down, as a result of the pressure from Puigdemont’s followers for the lack of trust the former President has in her respect. Only the next autumn will tell if the aggressive path Puigdemont is following will overstretch the independentists unity but, so far, the left independence movement is overshadowed by Puigdemont’s figure. The second chessboard in which Puigdemont’s moves are heavily influencing the outcome of the play is in Madrid. 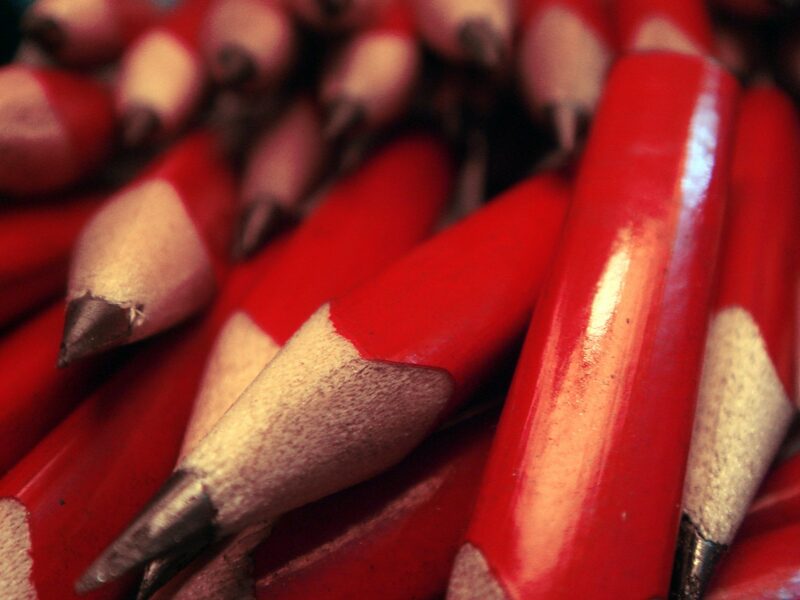 Last week the government of the socialist leader Pedro Sánchez had the first crisis as a result of the abstention of the two pro-Catalan parties PdeCat and ERC and of the left party Podemos on the budget proposal for a new deficit-cutting path. While it is true that Sánchez has no majority in Madrid and that his government is currently facing the first crisis, it is also true that the last polls on voting preferences underline his party growth. In CIS report released on August 1st, PSOE has been indicated as the first party in Spain, presenting a 29.9% of share raised from the 22.7% of the previous elections in 2016. Both right party PP and centre-right party Ciudadanos are following with 20.4%. Surprisingly, a hypothetical left coalition of PSOE and Podemos would reach a 45.5% of share, 4% more than in the previous polls. However, the effect that PP’s new leader Pablo Casado may have on the right-wing electorate that shifted to Ciudadanos after Rajoy’s fall is not taken into account, as his election happened after the poll took place. 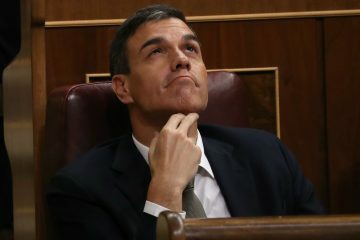 Casado, elected in July when the party experienced its first primary elections, as the former PP leader Rajoy is a hardliner towards the independence movement and at the same time announced he will not be soft toward the PSOE either, hence he will not support Sánchez government. Despite Sánchez announced that no snap elections will be held before 2020, sources close to PSOE revealed to Reuters that “this possibility should not be fully ruled out if the opposition and junior allies keep blocking the government’s actions in parliament”. Apart from the national outcomes, following possible snap elections as a result of a hypothetical coalition that would not see the participation of PdeCat or ERC, two scenarios arise for the independence claim of Catalonia. In case of Ciudadanos or PP victory, Madrid position is very likely to be harder towards independentists. Therefore, it would be a damage for the independence movement. On the contrary, in case of a PSOE victory, on one hand the party could have more representation in the central government and on the other its attitude towards Catalunya may not shift too far away from the position of dialogue that Sánchez and Torra experienced in the last weeks. 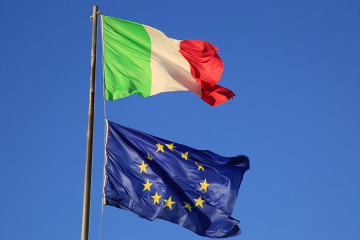 Therefore, it may be, if not a gain, a way to extend the fragile position of the independence movement in the talks with Madrid. However, elections are a gamble and right now Sánchez cannot do more than what is currently doing for the solution of the Catalan issue, and despite their announcements it is difficult to think that both the “expresidente” and Torra did not already realized this. 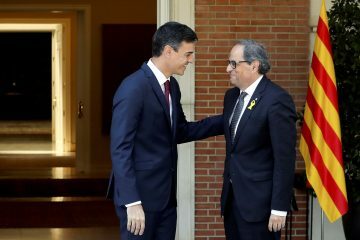 “We are now asking the Spanish government for facts, for having not only the sensation that dialogue has started but also implementing things that we can see and touch”, stated Torra, and the opinion amongst the pro-independence movements is that Sanchez have to rely on Torra for keeping his government on track, since the pro-Catalan parties and the Basque party were decisive for its rise. However, it is not unreasonable to perceive it as a top-down opinion, as it would strengthen the popular support to PDeCat and CNR. Sources to Euobserver stated that if Sánchez “decides to pull back PDeCat’s support, the government falls” but this is not likely to advantage the independence claim, as the only political force willing to open a discussion with Barcelona is the PSOE. Which, in case of snap elections as a result of an independentists move, won’t be so positively disposed towards a dialogue with the Generalitat. The fact that no new referendum is planned at the moment proves that neither Torra nor Puigdemont want to test their chances yet. The path chosen by Puigdemont apparently consists in pressing Sánchez to act at the independentists’ advantage while using as leverage the possibility of bringing down the government. Whether Puigdemont and Torra are really considering pulling the plug from to the government or not is not known but it is very unlikely. The last theatre that Puigdemont wants to use as a leverage towards Madrid and as a stage to present the independence claim, and which probably is the safest option adopted yet, is the internationalisation of the Catalan issue. 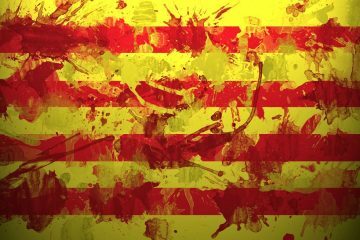 The abundant references to Scotland from the independentists and the last rumours from Belgian right party Nieuw-Vlaamse Alliantie are markers of the intention of broaden the Catalan independence discourse outside Spain. Clearly, it is not only Puigdemont’s aim as many nationalisms in Europe share the same method for enlarging the respective rhetoric on the European stage. As an example, in case the nationalist and conservative party N-VA will manage to present Puigdemont in its list for the upcoming European elections, it would be a win-win situation for both the two independence movements. Puigdemont himself underlined that he will spend efforts in travelling across the European Union to raise awareness about the Catalan claim for independence but at this point it is not clear how big the effort in the European scene will be. Back in Barcelona, Torra already started moving forward this aim re-opening The Public Diplomacy Council of Catalonia, also known as Diplocat, which was closed following the application of article 155 last December. In its previous form, Diplocat was a consortium with the objective of promoting international awareness towards Catalunya. Before that, Torra appointed Meritxell Serret as new head of the Catalan government representation to the European Union. Serret has been in exile to Belgium since October 2017 alongside Puigdemont. As for the former President, her European Arrest Warrant has been lifted but she would be arrested in case of a return to Spain. Furthermore, Torra is expected to re-open Catalan government’s offices in Berlin, London, Geneva and US from next September. Overall then, apart from the personal opinion that anyone can have regarding Catalonia’s right to self-determination, the comeback of Puigdemont to the political scene will have deep consequences for the independence movement. The Catalan independence movement will risk losing its plurality as the left ERC would eventually melt its identity with right forces. So far, Puigdemont’s aggressive positions in the Catalan parliament lead to a deadlock between the two main pro-independence parties that could mean either the imposition of Junts per Catalunya’s hard line or the government immobility, if not even a new administration. Puigdemont’s and Torra’s position in Madrid won’t be conservative either, but it is not safe yet to say it will heavily affect the government. And while the internationalisation of the Catalan issue may be the only safe move for the independentists’ success in the current strategy, it is hard to believe that those who voted at the referendum on October 1st were hoping for the current unilateral path as much as it is hard to believe to Torra’s promises with the parliament closed for a single man.